However, the police did not confirm that the girls had escaped from the cut grill. Patna: All the seven missing girls, including the five victims of Muzaffarpur shelter home case, were found by police, stated news agency ANI on Wednesday. These girls had reportedly gone missing from a shelter home in Mokama. The seventh girl was recovered from Madhubani on Tuesday night. After the girls went missing in Madhubani shelter home, police alerted the government railway police stations and inquired the staff members and administration of the shelter home about the mishap. A report stated that the administration in charge of the Mokama shelter home was secretive and not co-operating with the police officers. Upon investigation, police found a cut in the grill of the shelter home. However, they did not confirm that the girls had escaped from the cut grill. Of the seven girls, five were victims of the Muzaffarpur shelter home case. The shelter home run by Brajesh Thakur’s state-funded non-governmental organisation (NGO) had over 40 minor girls who were allegedly sexually assaulted over a period of time. Subsequently, the NGO was blacklisted and the girls were shifted to other shelter homes in Patna and Madhubani. 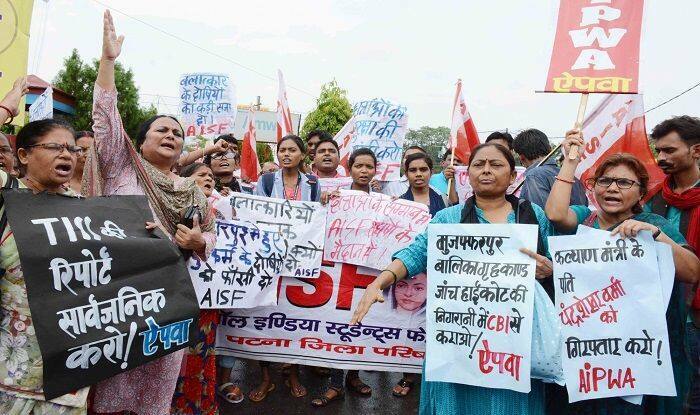 There have been reports on how the girls, who were raped and starved by the administration and visitors at the Muzaffarpur shelter home, revealed that they used to cut their hands and legs to avoid being tortured and forced into “ganda kaam (sexual abuse)”. Meanwhile, the Supreme Court had transferred 16 cases related to the sexual and mental exploitation of children in Bihar shelter homes to the Central Bureau of Investigation (CBI). The issue came to light in May last year following a report by the Tata Institute of Social Sciences (TISS). An FIR was lodged on May 31 against 11 people , including Brajesh Thakur, who was running the shelter home. The probe into the case was later handed over to the CBI.